The Learning Agreement is an official Erasmus+ document which is issued to most students taking part in the program. Your provisional module choices must be approved and the Learning Agreement signed by your home institution and the relevant department at Boğaziçi University. Please note: The Learning Agreement is a document reflecting your planned course of study at Boğaziçi. As part of your Application, it is meant to show the Department to which you are applying what you would like to do. It does not represent actual registration in courses. Registration takes place at the begining of each semester. BA Level courses are offered by the Faculties/School of Applied Disciplines. If you are registered under a Faculty/School of Applied Disciplines you must select undergraduate level courses during the Online course registration. Please check the unit under which you are being registered on your acceptance letter. MA/PhD Level courses are offered by the Graduate Institutes. If you are registered under the Graduate Institute you must select graduate level courses during the Online course registration. Please note: The courses you choose at this point are for the Application only. 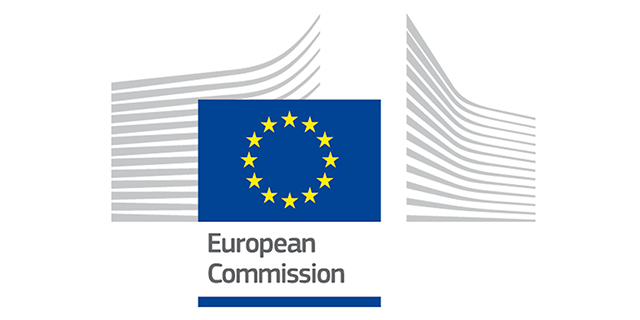 The Erasmus+ Online Application System is separate from the university's registration system. The courses you enter into the Online Application exist only in the Online Application System and are deleted as soon as the decisions are made. Registration for actual classes takes place after you have arrived at Boğaziçi. When you arrive at Boğaziçi University, you will receive a Student ID number and register for classes along with the other Boğaziçi students. Because the course schedules for the upcoming semester are not available at the time of the Application process, you will need to look at the course catalog of the previous term’s schedule for the department(s) in which you are interested. Descriptions of the courses offered by the departments of Boğaziçi University from their individual web pages. Please keep in mind that programs are subject to change over time; a course you see from the previous semester may no longer be available or maybe more interesting ones will be added. The point here is to show the acceptance committee what interests you. *As an Erasmus student, you must take at least 2 courses from the department to which you are accepted. These courses may not be taken by undergraduates. *Please keep in mind that at this point you are not doing any kind of registration. You are simply indicating preferences for your Application. Traditionally the credit system used at Boğaziçi University is a credit-hour system based on contact hours, similar to most North American HEIs. A 3-credit course means three hours of weekly lectures or two hours of lectures and two hours of laboratory work every week. The European Credit Transfer System (ECTS) system is also being used in parallel, with 60 ECTS corresponding to the workload in an academic year for a total of 1500 hours. First-cycle studies require 240 ECTS, second-cycle studies require 120 ECTS, and third-cycle studies require 240 ECTS for completion. To look at ECTS credits for a particular course, go to the University's registration webpage -->General Services -> ECTS credits -> select the relevant department. The ECTS is a credit system that counts the effort put in by the students. Therefore, a "vanilla" 3-credit hour course (3+0+0) is usually 4-5 ECTS, but it can also be 5-7 ECTS depending on such factors as its reading load, whether it has one or more midterms, or a project.